Mischief is always in the way. Sometimes he is a nuisance, sometimes he is adorable and at times like this, he makes me smile and laugh. 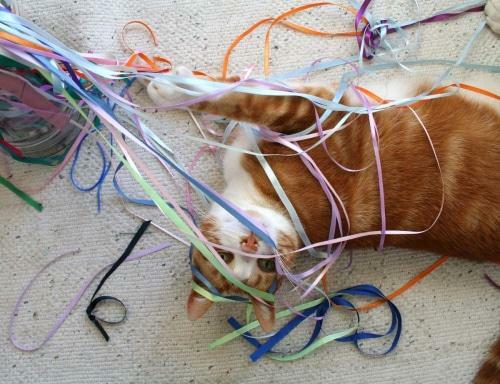 I was selecting ribbons to tie the lavender pouches to the bags when he pounced on them and started rolling around. I stopped what I was doing just to watch him chase the ribbons that were all over him – little things in the day can make a big difference. 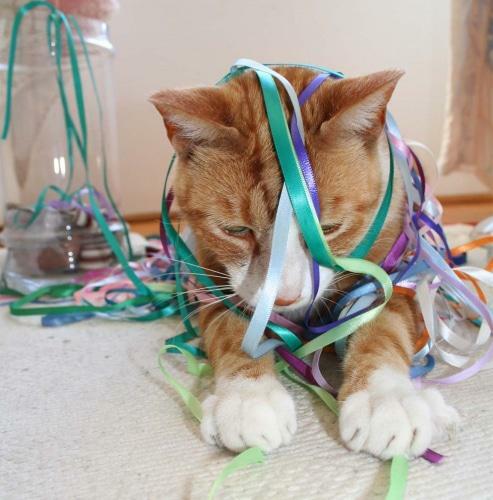 This entry was posted in Blog and tagged Cat, fun, Mischief, playing, ribbons. 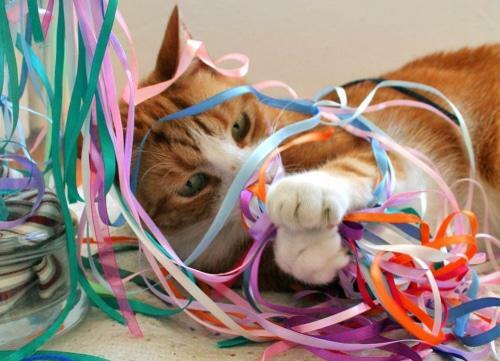 Cute and funny pics of your cat.I think he love to make ribbon salad …. Haha… oh geeze, this scene looks familiar. Nothing is safe around my mom’s house when it comes to Tiger the Cat, he’s been getting away with a lot since my dog has been in and out of the Vet’s and isn’t there to keep him in check.